Paving the way for progress. The strength of our economy is founded on good infrastructure such as roads, bridges, sewers and water. These are the underpinnings of economic growth and progress – the first and most important means of communication and commerce. 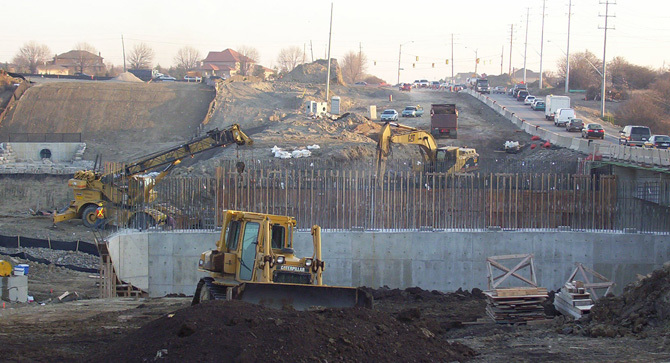 Since 1959, Graham Bros. has been building highways, roads, bridges, and industrial developments paving the way for economic progress in Ontario. The deep knowledge and expertise of our people in all facets of the construction process from the aggregate and asphalt production to road, bridge and underground construction allow Graham Bros. to control and deliver unsurpassed excellence to the customers and communities we serve. We take pride in our past and look forward to a future of continued service.